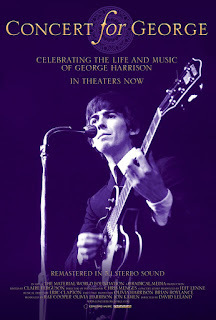 On November 29, 2002, one year after the passing of George Harrison, Olivia Harrison and longtime friend Eric Clapton organized a performance tribute in his honor. 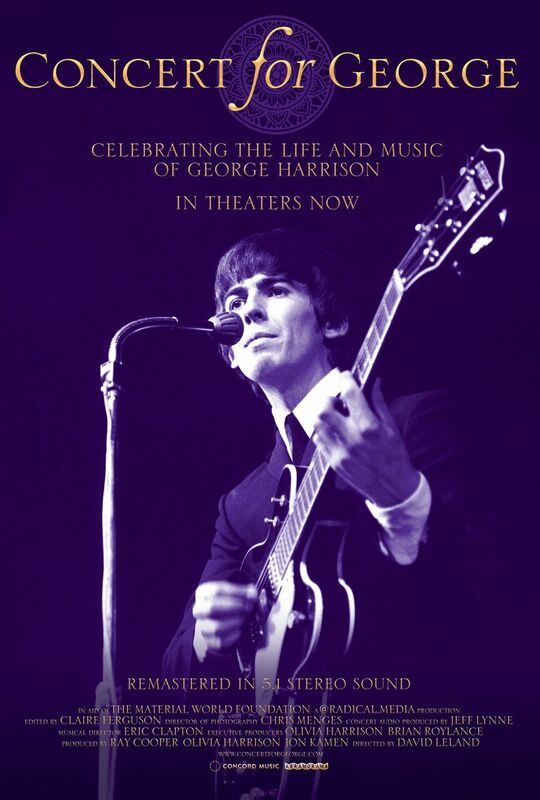 Held at London's Royal Albert Hall, the momentous evening featured George's songs, and music he loved, performed by a lineup that included Clapton, Joe Brown, Dhani Harrison, Jools Holland, Jeff Lynne, Paul McCartney, Monty Python, Tom Petty, Billy Preston, Ravi and Anoushka Shankar, Ringo Starr and many more. Directed by David Leland (whose credits include the feature Wish You Were Here, HBO’s Band Of Brothers and the Traveling Wilburys video “Handle With Care”), CONCERT FOR GEORGE captures stunning renditions of some of the most significant music of the 20th century, including “While My Guitar Gently Weeps” (featuring Eric Clapton on guitar, Paul McCartney on piano and Starr on drums), “Taxman” (performed by Tom Petty and the Heartbreakers) and “The Inner Light” (covered by Jeff Lynne and Anoushka Shankar). Lynne, Harrison’s longtime friend and collaborator, produced the audio elements of the concert, while Clapton oversaw the entire proceedings as Musical Director.